Siliguri: The mercury has shot up to a high of 33 degrees Celsius in Tadong near Gangtok and 30 degrees in Kalimpong in a dry monsoon interlude that has replaced showers with a summer-like swelter. Many hotels in Gangtok and Kalimpong do not have ceiling fans or air-conditioners but some are worried now because of the spell that has seen the temperature in Darjeeling hit an unusual 26 degrees. "Some hotels started putting up fans and ACs. But many properties lack these facilities. The way the temperature has soared these days, it seems we have to consider this factor for tourists," said Samrat Sanyal, a veteran in travel trade. The picture is worse in the plains. From Cooch Behar to Malda, the temperature is hovering around 40 degrees. But it is in the hills where the brows are furrowed deeper. Sanyal pointed out that tourists visit the hills to enjoy the chill. "If the chill goes missing and day temperatures rise to such levels that people start feeling uncomfortable, it is a matter of concern for us." In Gangtok, the maximum on Friday was 27.4 degrees - six degrees above normal and the highest in 15 years at this time of the year, Met officials said. It was 33 degrees in Tadong, a few kilometres downhill from Gangtok. "Forget the chill feeling, people are moving around in T-shirts through the day and even in the evenings. 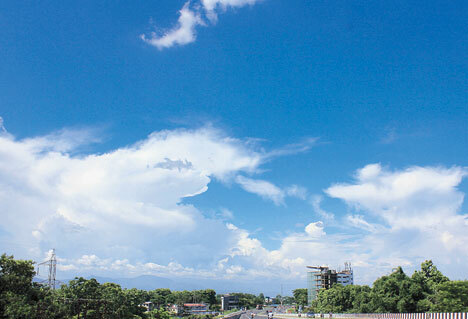 Such a rise in temperature is very unusual, particularly during the monsoon," said a Darjeeling resident. For substantial rain in north Bengal, the monsoon trough needs to be closer to the region. The shift is likely from Saturday, a weather official said. "Clouds are moving south. Also, moisture-laden winds are not entering north Bengal and Sikkim. This has led to clear skies in the region. Unless a depression from Bay of Bengal moves in, the situation is likely to remain same," said an official of the India Meteorological Department (IMD). According to the IMD, rain deficiency this season has ranged from 30 per cent to 50 per cent in Darjeeling, North Dinajpur and Cooch Behar. In Malda and South Dinajpur, it is over 60 per cent. In Malda, where the mercury rose to around 40 degrees, 19 girls fell ill at a school in Manikchak on Friday and had to be taken to hospital. "A report has been sought from the school," said Tapash Biswas, the inspector of schools. The mercury has shot up to a high of 33 degrees Celsius in Tadong near Gangtok and 30 degrees in Kalimpong in a dry monsoon interlude that has replaced showers with a summer-like swelter.